Reverend Percival Peabody still has the unenviable task of guiding his flock in the sleepy village of Lower South-Borough as Rollo the vicarage cat, continues to run rampant around the parish, master of all he surveys. The summer season has passed by leaving in its wake a disturbing picture of raunchy relatives, senior moments, cross-dressing accountants, drunken promoters, madcap holiday capers and a saucy streaker. 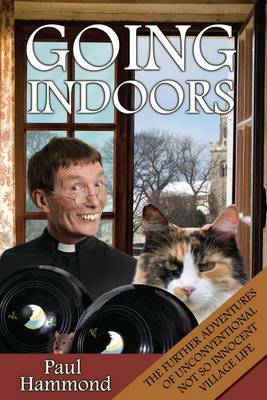 It's time for a change as Percy once again gathers his temperamental, flirtatious and potentially insane parishioners in preparation for the onset of winter. With a firm grip on his bible Percy leads from the front, but falls ever further adrift of the pace as the tether on his sanity slowly slips along with his halo. Unfortunately for him, pursuits of passion, the love of one-upmanship, playful shenanigans and sheer mayhem once again systematically reduce all previously arranged and well organised plans to total chaos. Given these books for Crimbo prezzie, don't get to read much but loved them, very funny and I'm sure my mum is in there! When is the next one out? Given these books by Paul Hammond for Crimbo prezzie, don't get to read much but loved them, very funny and I'm sure my mum is in there! When is the next one out?